Simple chest armor to protect the front of the trunk. Typical model dell'armoreria Spanish sixteenth century, embellished with incised decorations depicting floral motifs and mythological. Worn mainly by foot was connected to the torso by means of leat. * Breastplate Etching, Medieval Details. 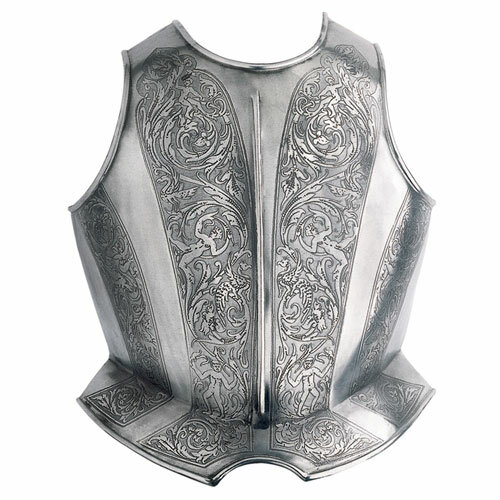 Excellent Breastplate from Exclusive Collection "Historical Armors" from Marto.